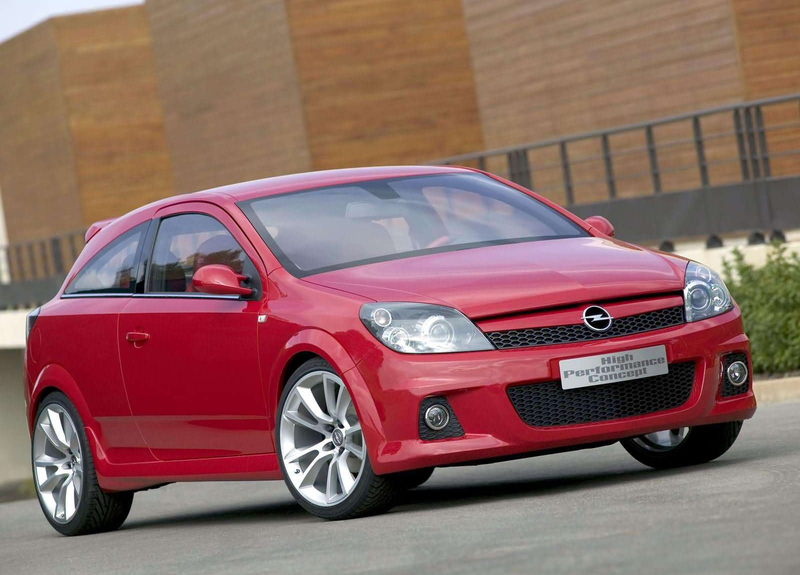 In addition to the new Astra GTC and the Astra GTC with the new panorama windshield, Opel presents a third world premiere at this year´s Paris Motor Show: the "Astra High Performance Concept". 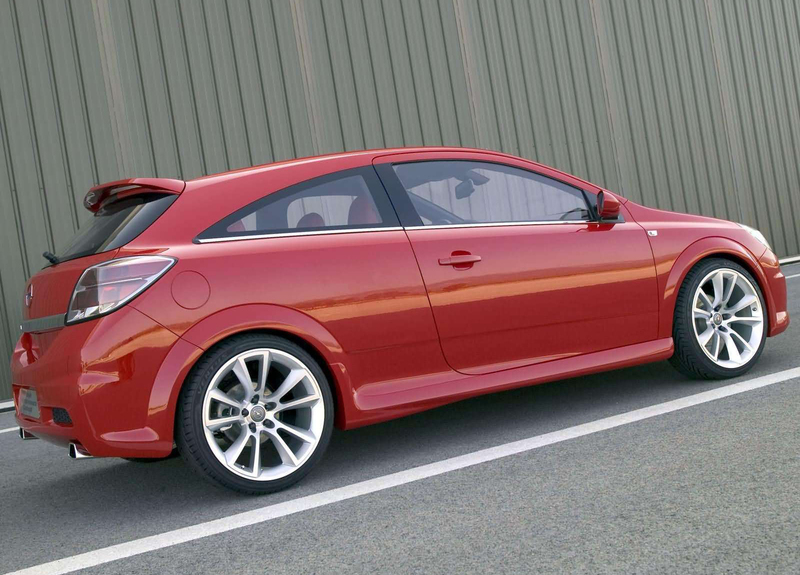 The power-red-lacquered design study based on the three-door model demonstrates the dynamic potential of the new compact class generation and shows the way for future Astra high-performance variants. 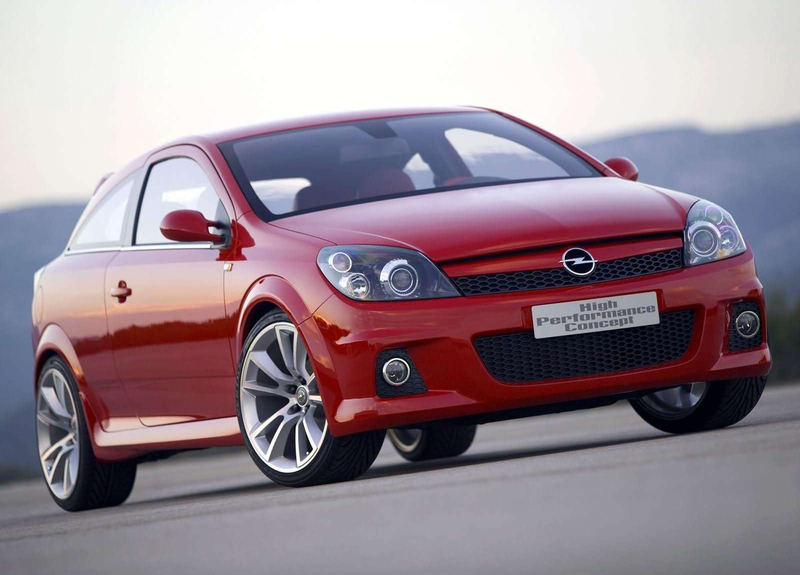 With a striking look and a technology package designed for enthusiast drivers, the car delivers what its name promises. 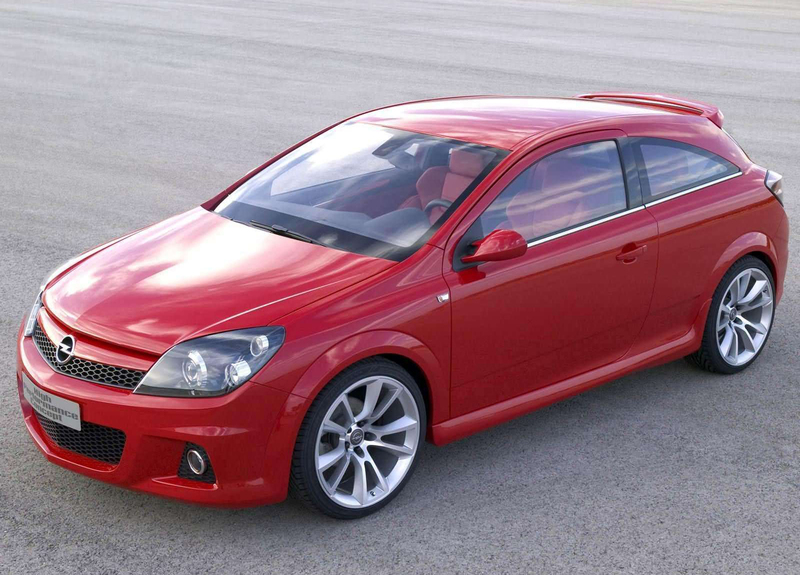 Just a glance at the Astra High Performance Concept´s target data confirms this: 176 kW/240 hp, maximum torque of 310 Newton meters, acceleration from zero -100 km/h in well under seven seconds and a top speed of around 240 km/h. 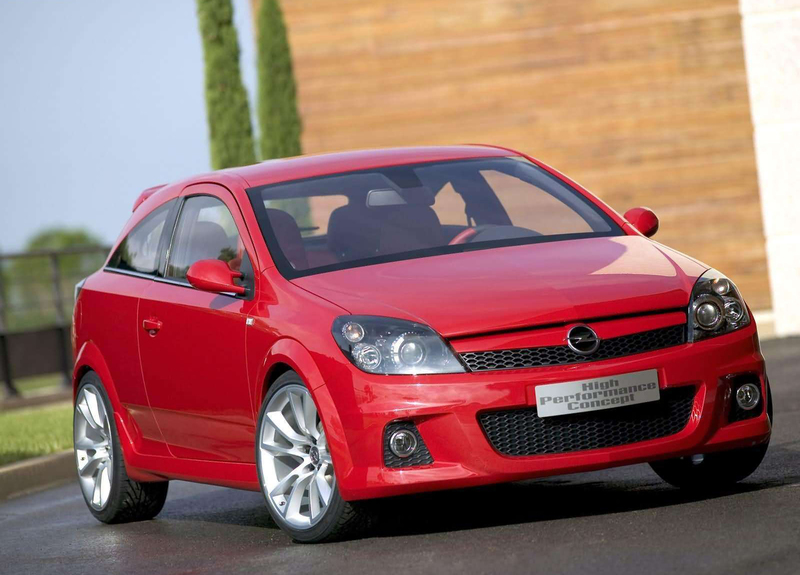 These sports car figures are made possible by a powerful engine which is now also offered in a less radical version for the five-door Astra and station wagon - the 200 hp 2.0-liter turbo gasoline engine with maximum torque of 262 Nm. 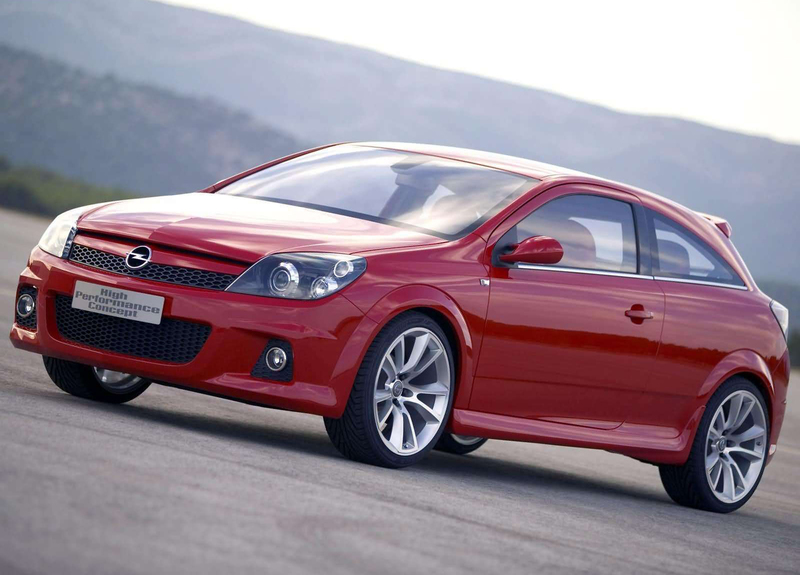 The high-performance Astra engine's increased power is a result of optimizations to the intake and exhaust sides, use of highest quality engine components as well as enhancements to the turbocharger and injection system. The study's IDSPlus chassis is perfectly designed for the power of the engine, which is combined with a six-speed manual transmission. 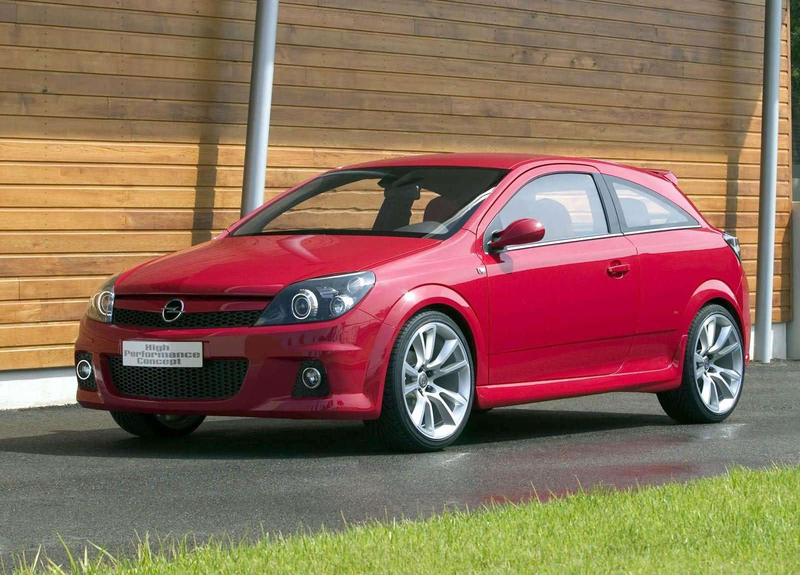 Already praised by specialist press in the Astra production models, this system with electronic damping control and integration of all driving dynamics controls has been further developed for the Astra High Performance Concept, with the aim of making it even sportier. 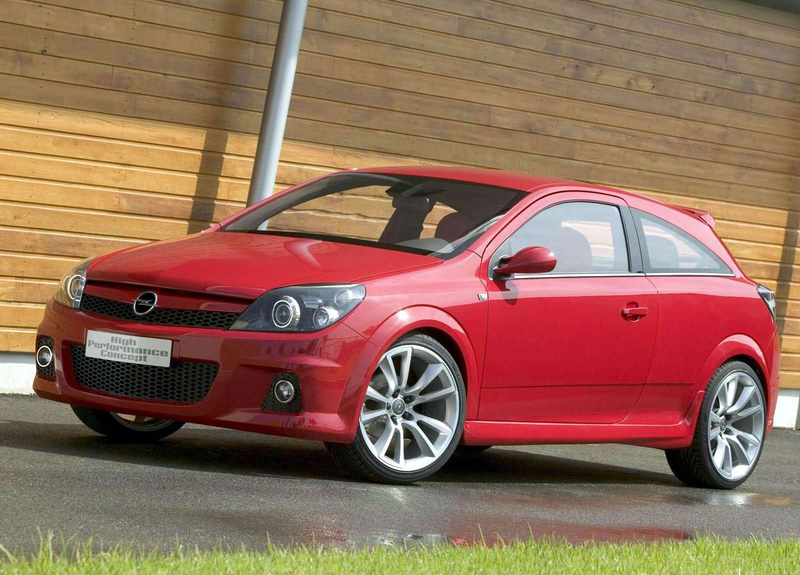 The impressive power hidden behind the top performer's exterior is apparent at first glance thanks to design features such as the front section which has a more muscular appearance than the standard Astra GTC. 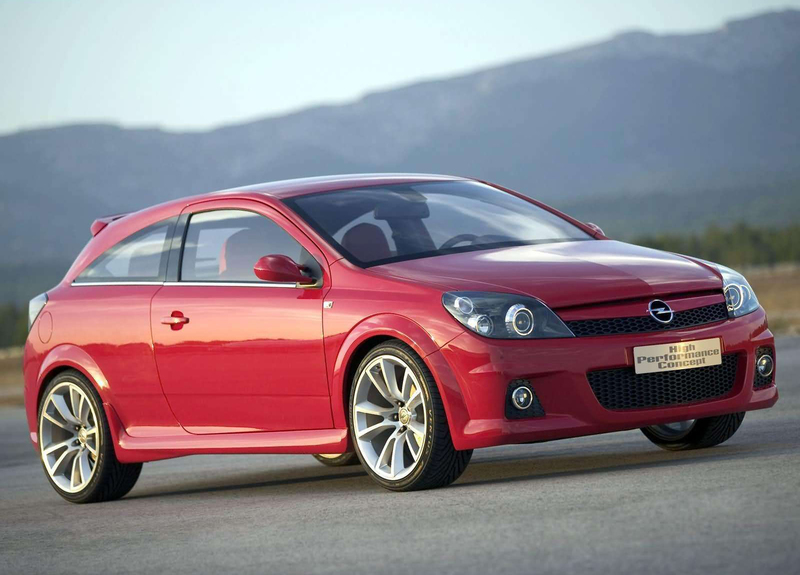 Its look is defined by a much wider and lower air intake, a honeycomb grille as well as a bumper with a clearly accentuated spoiler lip and integrated fog lamps in the pronounced side apertures. At the same time, these provide a harmonious connection to the side sills which are more strongly profiled towards the rear. 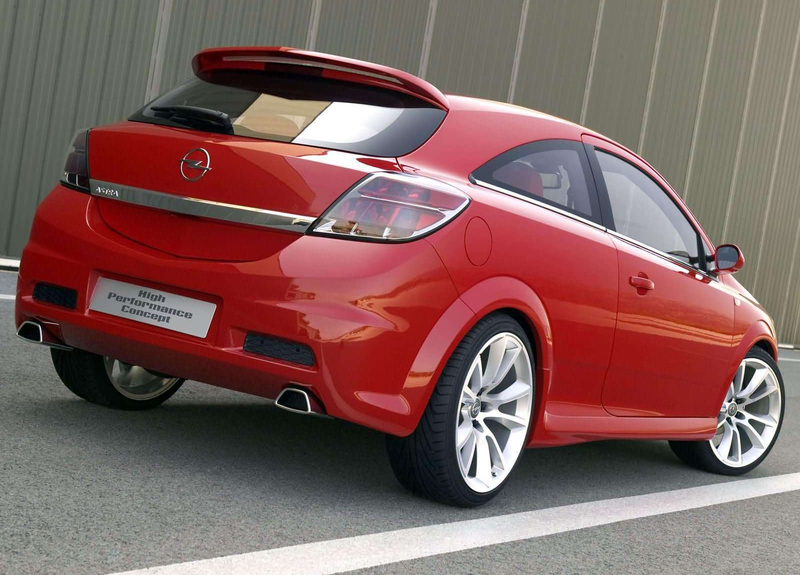 The rear of the Astra High Performance Concept looks as powerful as the front. 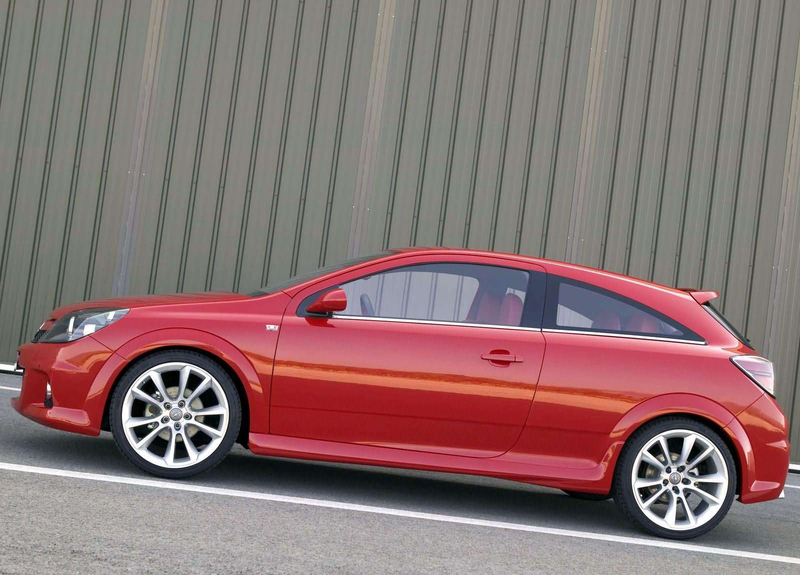 It is accentuated by two side cutouts with a lattice structure, a dual exhaust system with tailpipes installed left and right, and a distinctive roof spoiler which together with a diffuser integrated into the bottom of the bumper reduces lift force. 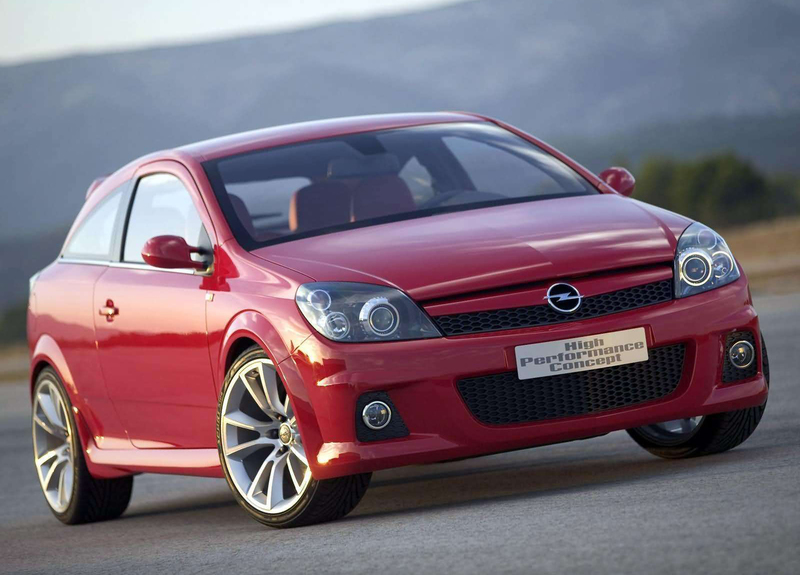 The sporty look is underlined by large 19-inch alloy wheels. Eye-catching sporty details are also found in the interior, also in power-red to match the exterior. The most striking feature is the Recaro seats, which are designed for strong side support and have an extendable cushion as well as a four-way lumbar support. Other interior highlights are a new leather gearshift knob and red-ringed instruments with graphics that echo the study's design. 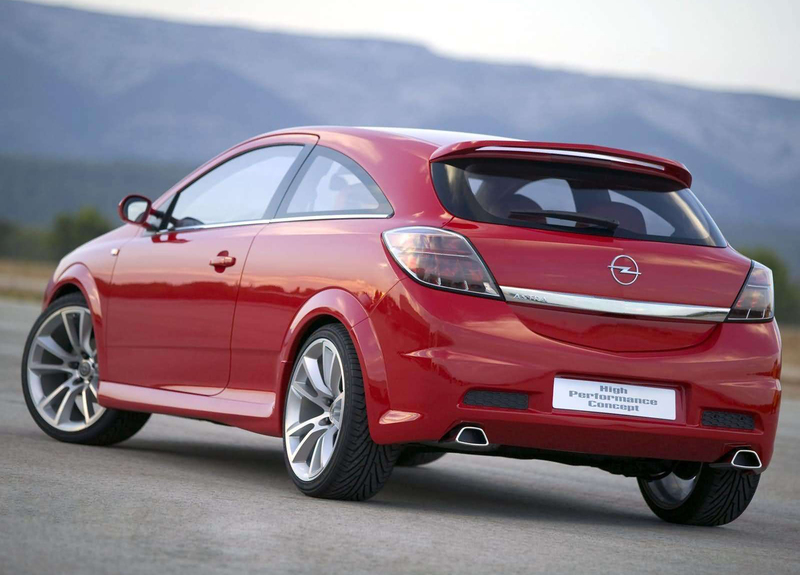 The Astra High Performance Concept was developed by engineers at the International Technical Development Center (ITDC) in Rüsselsheim in close cooperation with the OPC (Opel Performance Center) team.